I wish to know your concept of soul according to the guidelines provided in the Noble Quran. We know that even non-Muslims believe in the existence of the soul. But people of different faiths make somewhat different interpretations of the soul. As a Muslim, how would you define the characteristics and limitations of the soul. Just curious for a feedback. BismAllah .. and Wa'Salaam Sis Heba. Let me try to comment on this one. To begin with, as Muslims and human beings we all know for sure that the body of every living being contains a soul. The body is mortal while the soul is immortal. The body and soul are together as long as one lives in this earthly world. Then, when the body dies, the soul departs from the body. Those who trust the extra Quranic literature like Hadith etc. believe that after death the soul is made to rest in a place called Barzaq. People differ in their precise explanation of Barzaq. However, the Quran says nothing about Barzaq nor any other concept resembling it. Thus, ever since I've started taking the Quran alone as my source of information (Alhamdulilah), I have stopped focusing on the concept of Barzaq. Allah Almighty says in Surah Bani Israel (V.17:85) that He has bestowed on we humans very little knowledge about the spirit. In case "spirit" in this Verse refers to the human soul: That means, complete knowledge about the spirit belongs to Allah only. The only information that The Almighty has bestowed upon us is the fact that the spirit is immortal. But where the spirit or soul is preserved after it leaves the body, what are its characteristics, limitations etc. are aspects of the unseen and only Allah has the complete knowledge of all such details. However, we aren't sure concerning the allusion of the word "Spirit" in Verse 17:85 for which kindly refer to our post The Quranic term "Ruh-ul-Qudusi." Human soul is generally referred in the Quran as "nafs" and where it stays until the Day of Judgement after departing from the earthly world is known to none except Allah Almighty only. People in this world often wonder if departed souls are able to visit earth. Some folks who claim to have seen the "apparitions" or spirits of their loved ones who have passed away, or the appearance of unknown spirits, believe for sure that spirits do visit this world. But this idea is not at all supported by the Quran. The only elemental spirit, the existence of which is confirmed in the Quran, is the Jinn. I reiterate, the only aspect about the soul which Allah has chosen to disclose to us is that the soul is immortal. The rest of the knowledge about it is with Allah only. BTW ... once upon a time it was much the same with me when I was very interested in knowing about Barzaak and I would talk about it a great deal with the Hadithers. And as you pointed out, I too observed that they all had varying opinions which is typical of human ideas. Some say Barzaak exists in the grave, some say it's in some other place outside from Paradise and so on. All based on the various Hadith narrations but absolutely no mention of any such things in the Quran. I agree, it's best to accept that we know nothing beyond the immortality of the soul as Allah has decided. Some people claim some souls visit the earth. This is not supported by the Quran. In addition to my first post in this thread, I would also mention that Verse 56:60-61 (Surah Al-Waqi'ah) also, to my understanding, hints at the existence of the soul. I would paraphrase it as .. death is unavoidable, and after death one is transformed into something different. Perhaps this refers to the withered physical remains and the existing soul of those remains that's at the command of Allah. Some commentators are also of the opinion that transfiguration refers to the condition of the soul in the Hereafter which can either be made to look nicer or worse, depending on the will of Allah Almighty. But the final explanation is known to Allah only. The Verses certainly have a deep meaning. Verse 42 of Surah 39 (Az-Zumar) quoted below also states that souls of people can be in the custody of Allah while they are asleep. But the Verse clarifies that Allah takes away the soul permanently only when He ordains death for that soul. Those for whom death hasn't yet been ordained, their soul is returned to their body by will of Allah. So, they're able to awaken from their sleep. In other words, those for whom the Divine Decree of death hasn't been issued yet, wake up from their sleep because their appointed time for death has not yet arrived. As we can see from these three above mentioned Verses, the soul (of the dead) visiting the earth by Allah's permission is NOT stated or hinted anywhere. Additionally, if you check Verses 23:99-100 of Surah Al-Mominun (The Believers), Allah has plainly conveyed the concept that death brings a barrier between the departed soul and earthly world. I would conclude with the analysis that just as those still living on earth do not have the ability to visit the next world, thus after leaving earthly world, that person's soul does not have the capability to return here. "Until, when death comes unto one of them, he says: My Rab! Send me back, (23:99) Surah Al-Mominun. That I may do right in that which I have left behind! But nay! It is but a word that he speaks; and behind them is a barrier until the day when they are raised." (23:100) Surah Al-Mominun. Allah knows best about every matter. O! thanks for this additional clarification directly from the Quran. I don't know how I didn't see it earlier. It's just what I was looking for. From what I would interpret, the hint upon the existence of the soul in Verse 56:60-61 is so interesting. Some say it refers to the arch angel, Jibreel. I thought it referred to the soul. What's your opinion on that. I need some details as we expect to take up this topic for discussion end of this month, InshAllah. Brother, check Sister's post The Quranic term Ruh-ul-Qudusi. Thank you for reminding sister Heba. I forgot about that. The word 'Nafs' can be translated as self/psyche/psychology. Ayat 39:42 defines 'Nafs' as conscious mind, which is not alive during sleep, i.e we are not liable for our actions during our sleep. Ar-Rooh in Al-Quran is the true spirit/understanding of the words of Al-Quran. Behind all words is an understanding, which is communicated to the recipient through the words. For example, a message comprising of words ‘Bring me water’ can be in any language or in sign language, however the understanding/meaning behind these words is the same . When Al-Quran mentions Ar-Rooh/The spirit it means the true spirit of the Words of Al-Quran. It is not the Rooh which is commonly used to refer to the essence of life form in everyday language. Only after the Spirit of the words of the Al-Kitab is inspired on the Messenger, he then gets the perception of the Book and the Belief. The Spirit is Honest/Ameen as it transfers the true understanding behind the Words of Allah to His Messengers. This Spirit came to her in a form of Human being i.e a human being with the Spirit of the Words of Allah in him. When the true Sprit of the Words of Allah comes to one, he finds it hard to believe it to be true, as it may be quite different from what one is made to believe by environmental influences since one’s childhood. Mariam was also confused at first and she asked Allah’s refuge from the Spirit that came to her. Prophet Essa Ibne Mariam is also termed as Word and Spirit from Allah. O People of the Book! Commit no excesses in your judgement. Nor say about Allah but the truth. Christ Jesus the son of Mary is a messenger of Allah, and His Word, which He bestowed on Mary, and a spirit proceeding from Him. so believe in Allah and His messengers. Say not “Three/Trinity” . desist. it will be better for you. 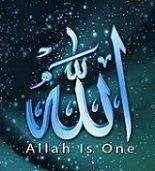 for Allah is one God. Glory be to Him. (far exalted is He) above having a son. To Him belong all things in the heavens and on earth. And enough is Allah as a Disposer of affairs. Allah aides the Messengers and believers with the revered Spirit. These are the messengers We endowed some above others; Of them Allah spoke (directly); others He raised to degrees (of honour); to Jesus the son of Mary We gave clear (Signs), and strengthened him with the revered/holy spirit. If Allah had so willed, succeeding people would not have fought among each other, after clear (Signs) had come to them, but they disagreed (among themselves), some believing and others rejecting. If Allah had so willed, they would not have fought each other; but Allah does what He wills. Allah invokes His Spirit in the Bashar/Human who He intends to make His Khalifa/Vicegerent on Earth. The order to all Angels/Malaika/Forces of Universe is to bow down to His Khalifa who has the Spirit of (Words of) Allah in him. The rebellious one, who does not bow down to this Allah’s Khalifa, tries to justify himself by minusing the Spirit of Allah, i.e he alludes only to the body form of Khalifa and does not mention the Spirit of Allah (which was the reason for the order of bowing down). The rebellious ones tries to create confusions in matters of creations of Allah by making comparisons on the basis of self made criterion (e.g fire better than clay). Rebellious one till this day instead of bowing down to Khalifa, tries to dissuade by makeing left and right side arguments, tries to create confusion in matters of creation and making false comparisons. The Spirit comes with the order of Allah. The knowledge with the man kind is very little. The angels and the Spirit ascend unto him in a period/interval of time the measure whereof is (as) fifty thousand years. This could be at the time of the end of an era or end of civilization when the angels and the Spirit ascends towards the Lord.